Located in a previleged area of Sao Paulo "Jardins", 5 blocks from Paulista Avenue, close to 9 de Julho Avenue, 10 min. from Congonhas Domestic Airport, withhin walking distance of Oscar Freire Street, a famous shopping center area. 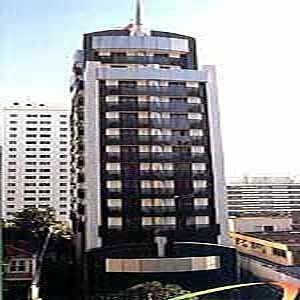 Tulip Inn Interative is located in the Jardins area near the Oscar Freire Street, five blocks from Paulista Avenue and 15-minutes drive from Congonhas. 123 rooms equipped with cable TV, air conditioning, safe, telephone, high speed internet access. Located in a previleged area of Sao Paulo 'Jardins', 5 blocks from Paulista Avenue, close to 9 de Julho Avenue, 10 min. from Congonhas Domestic Airport, withhin walking distance of Oscar Freire Street, a famous shopping center area.